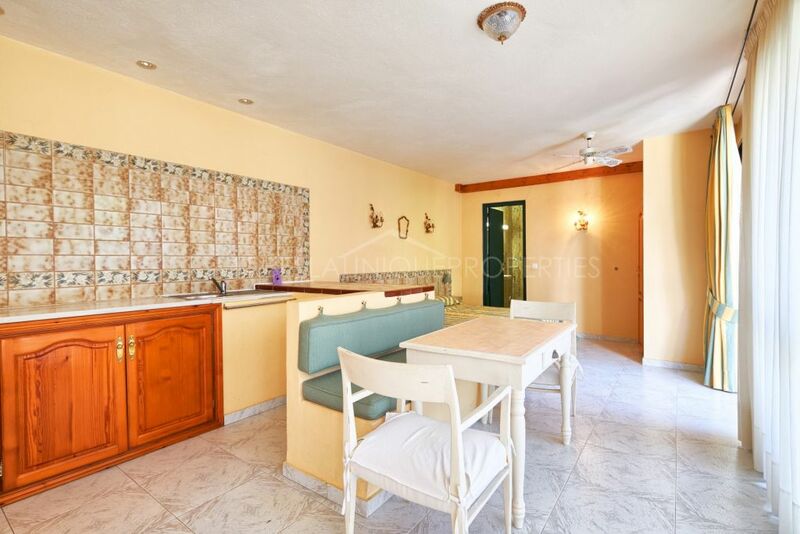 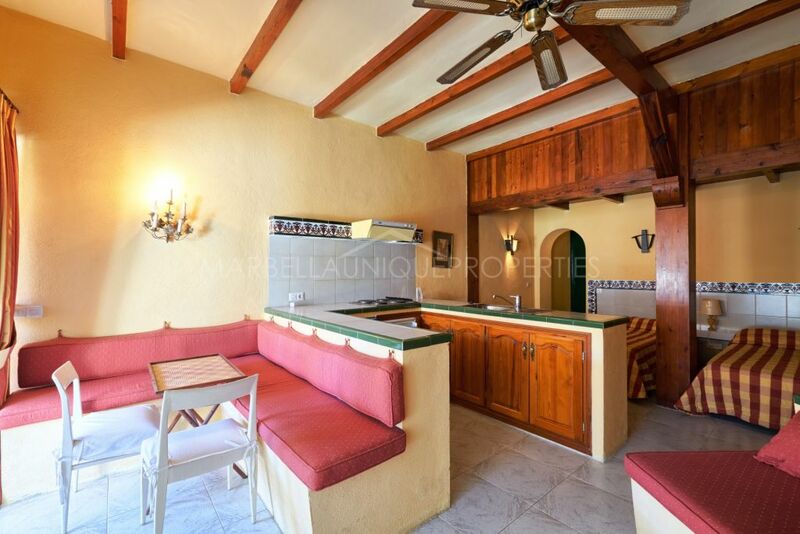 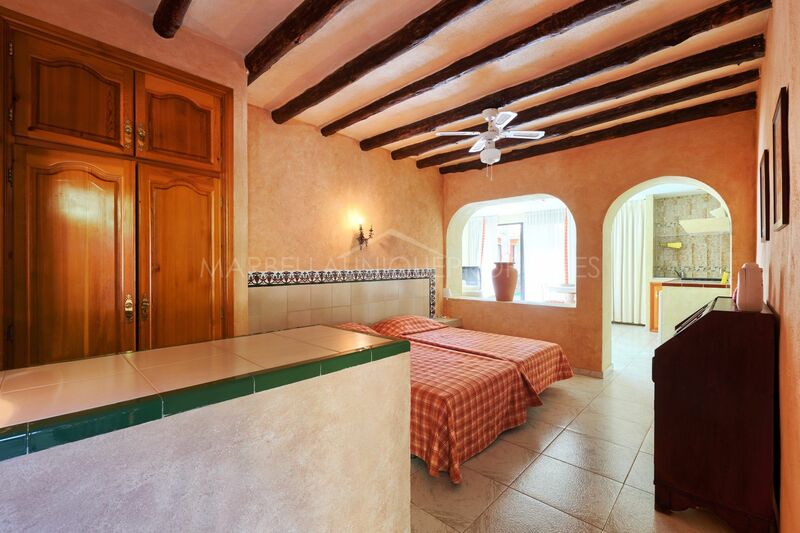 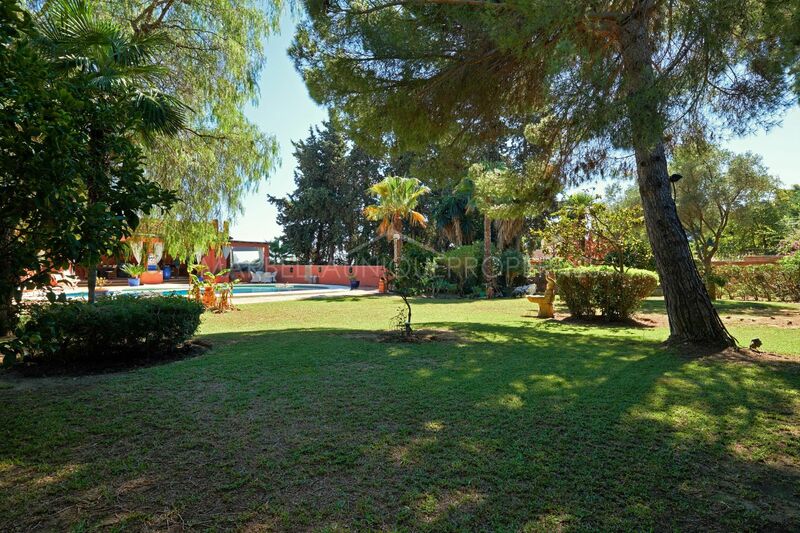 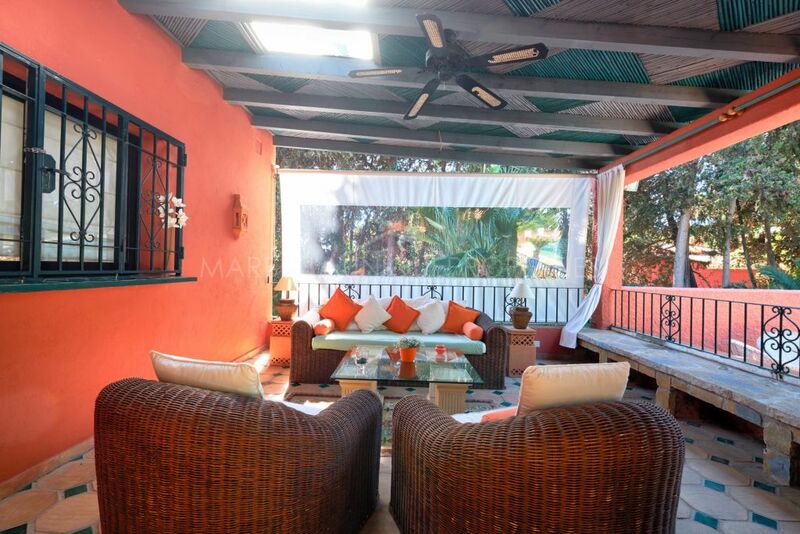 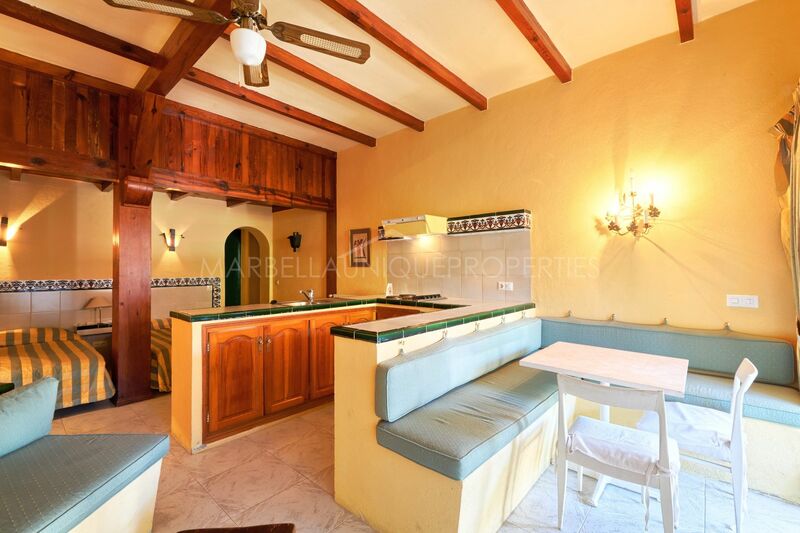 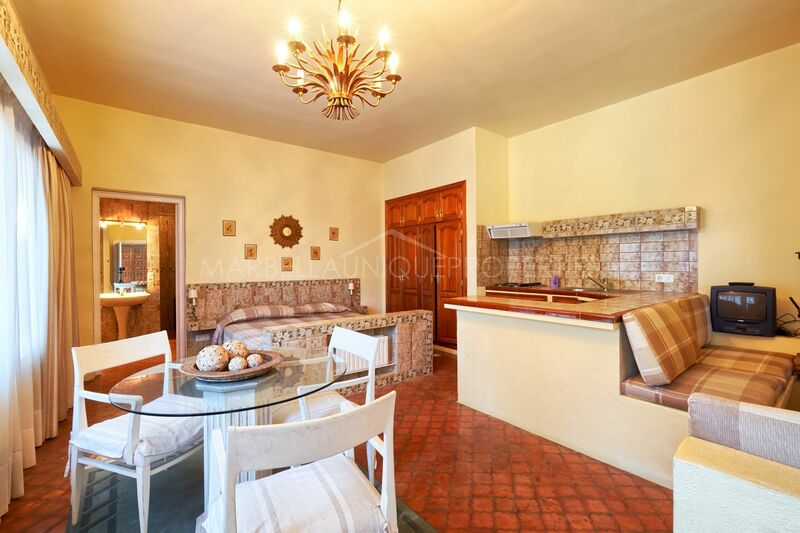 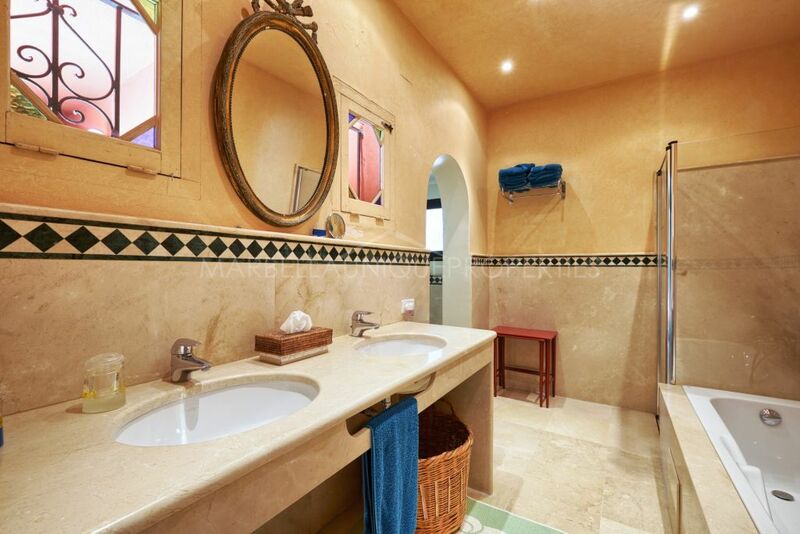 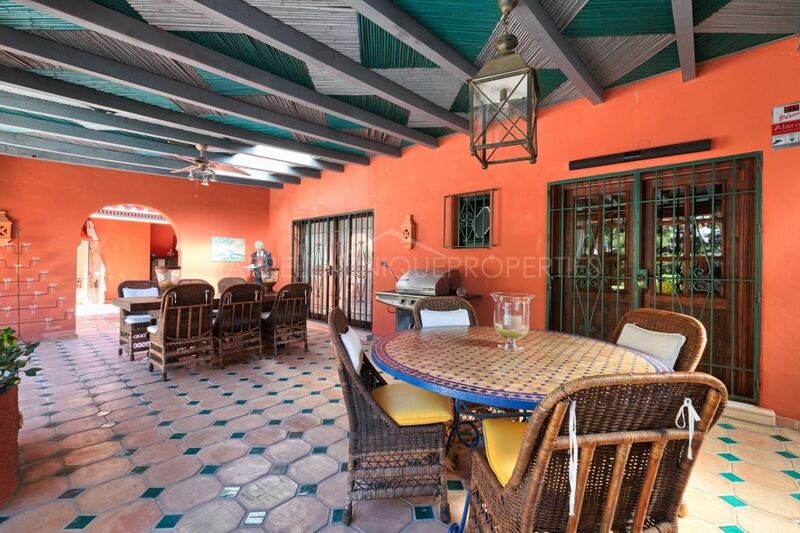 This unique property consists of the main house and additional 9 studio apartments build on a big plot, located in the gated community of Lomas de Rio Verde on the Golden Mile. 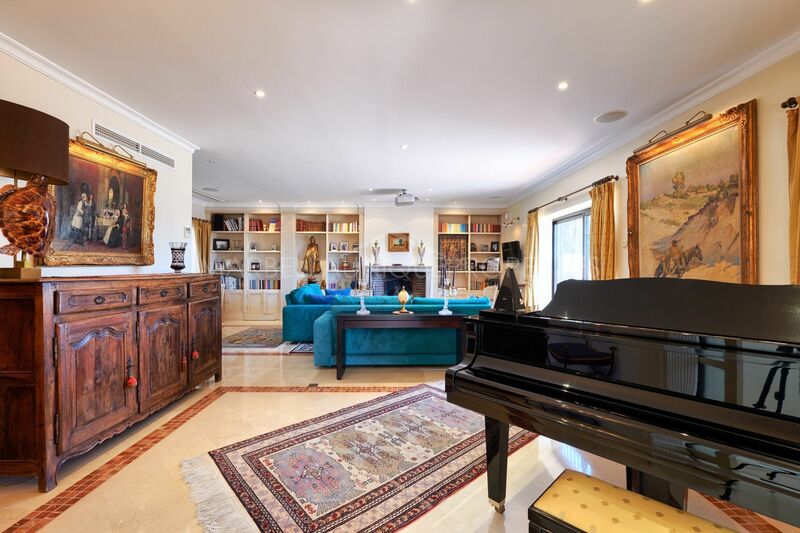 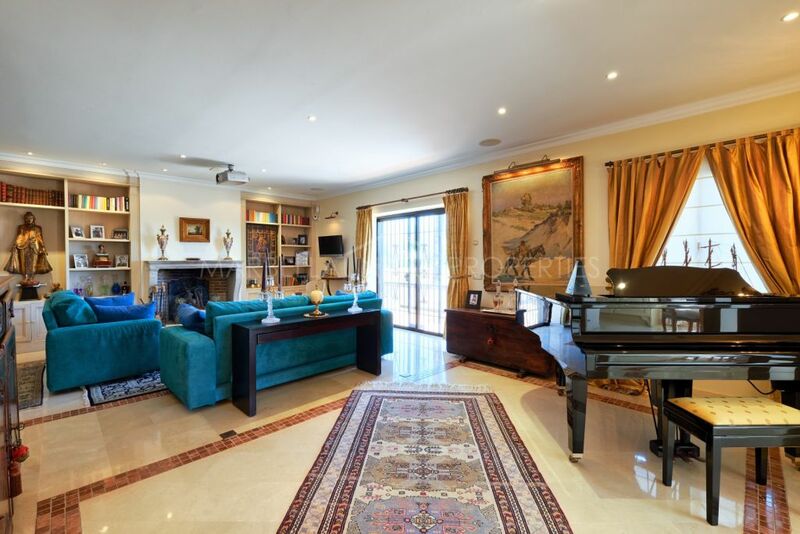 The main house is located on the main floor of the property and boasts a spacious living room decorated in a classical style with dining and sitting area with an amazing fireplace. 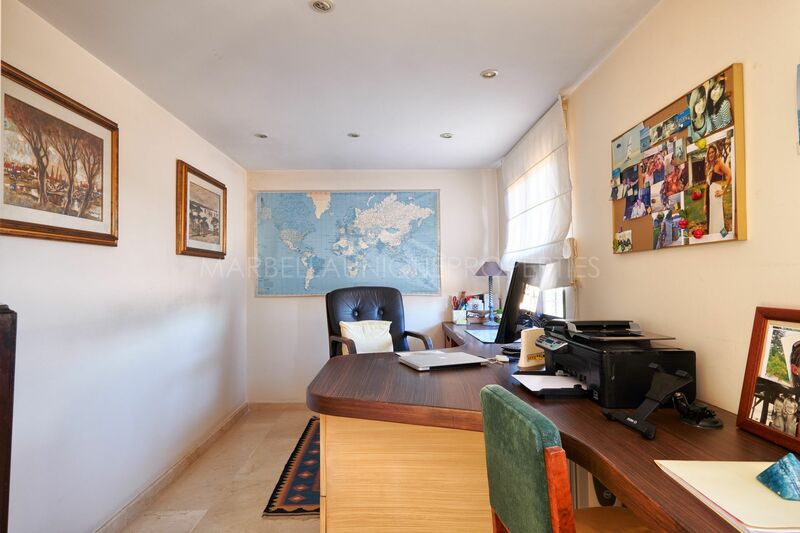 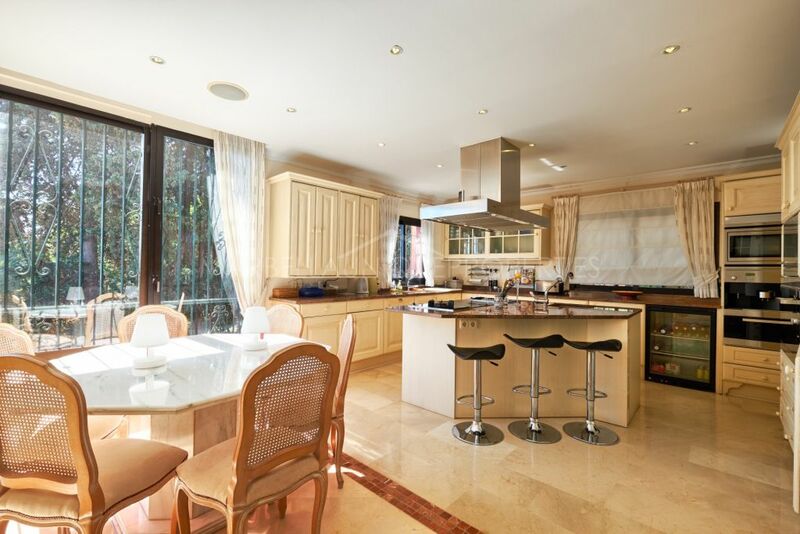 Office room, large open plan, fully equipped kitchen with additional dining with garden view, master bedroom en-suite with access to the terrace and two guest bedrooms sharing a bathroom. 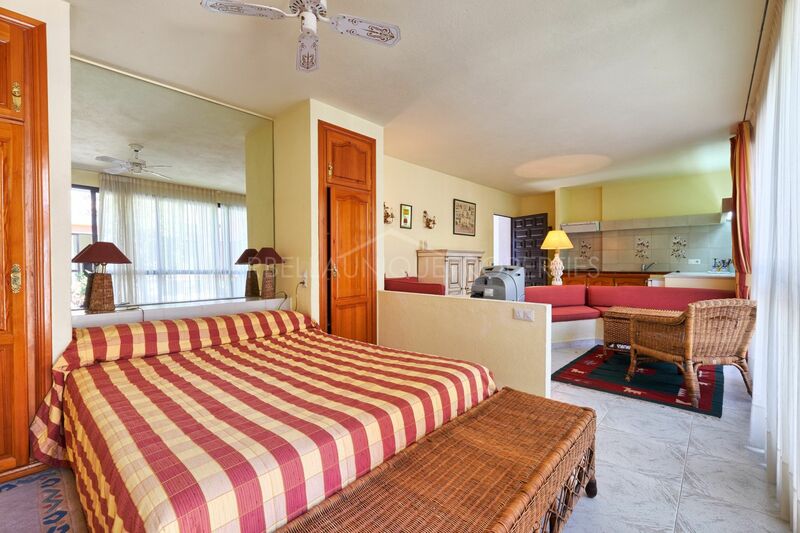 The guest house on the ground floor consists of 9 studio apartments with living area, open plan kitchen, bedroom area and bathroom. 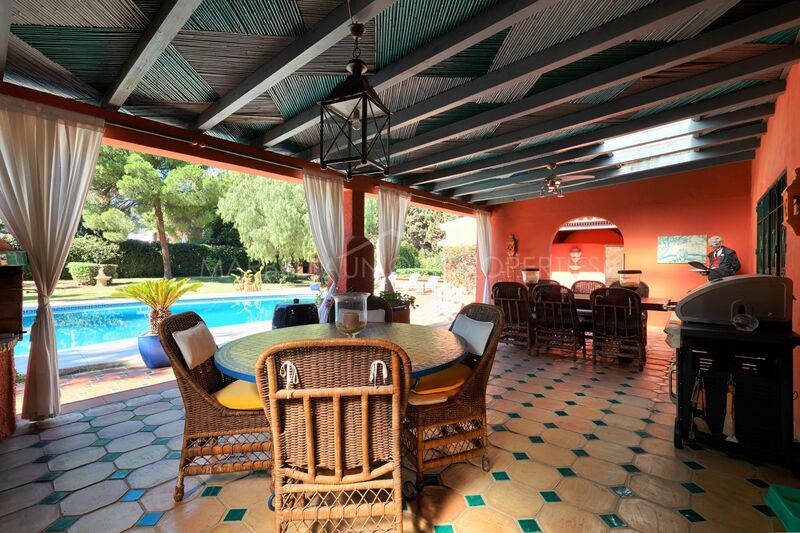 They all have access to the patio , large mature garden with the swimming pool and a spacious covered terrace with dining and sitting areas, barbeque overlooking the garden. The furniture is available upon separate negotiation. 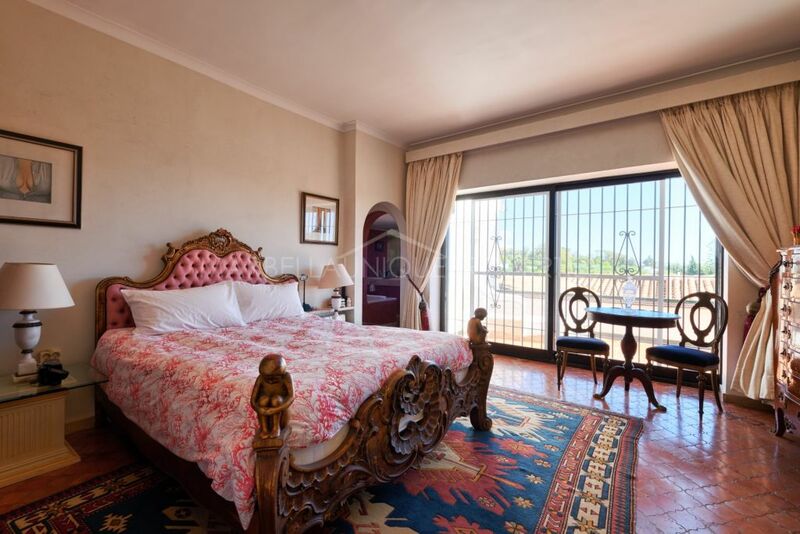 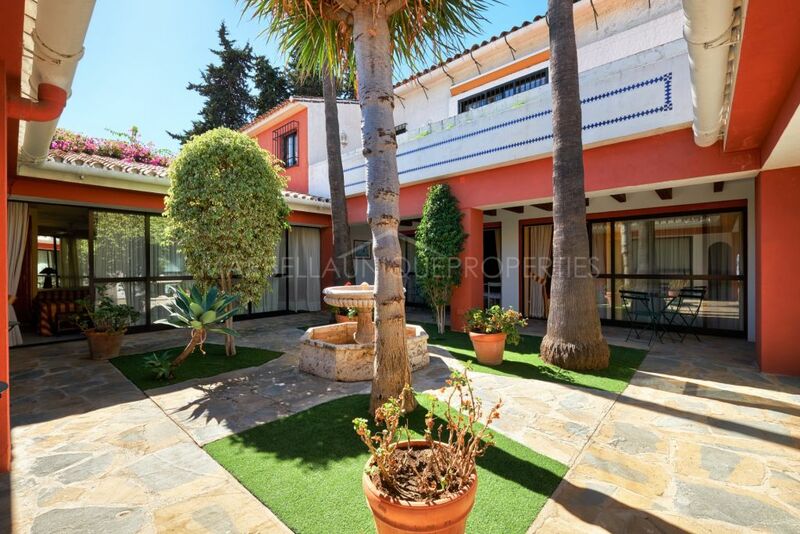 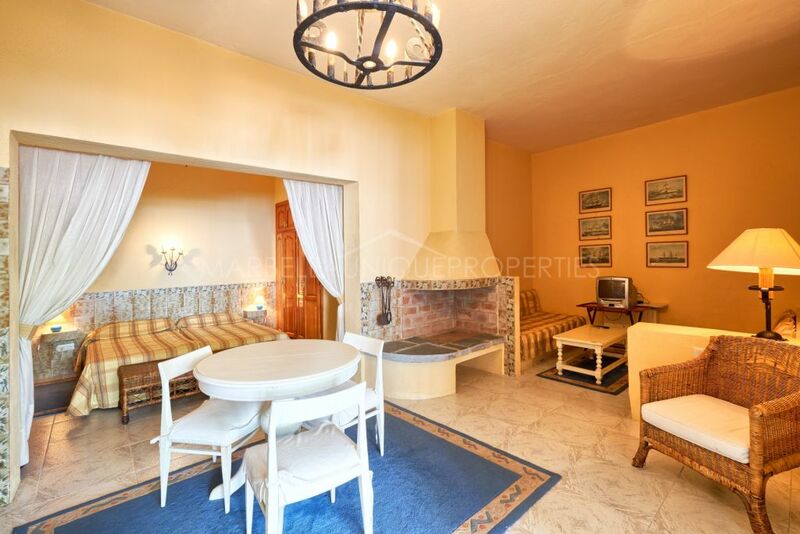 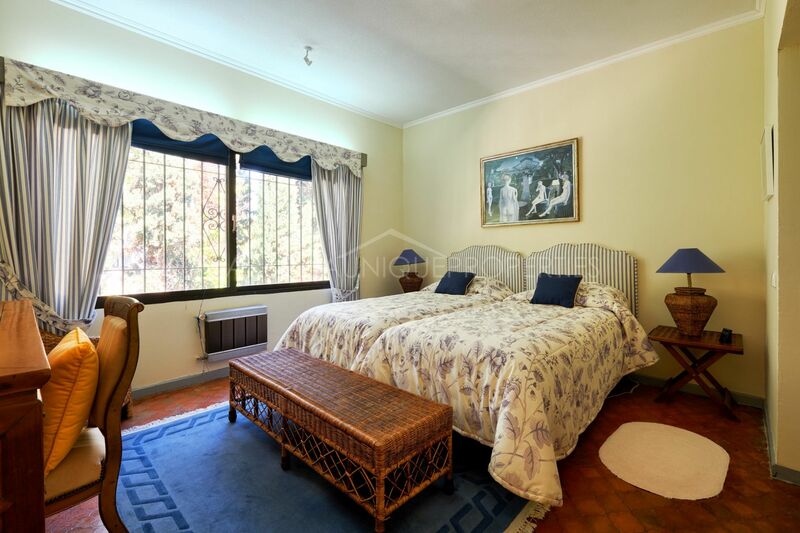 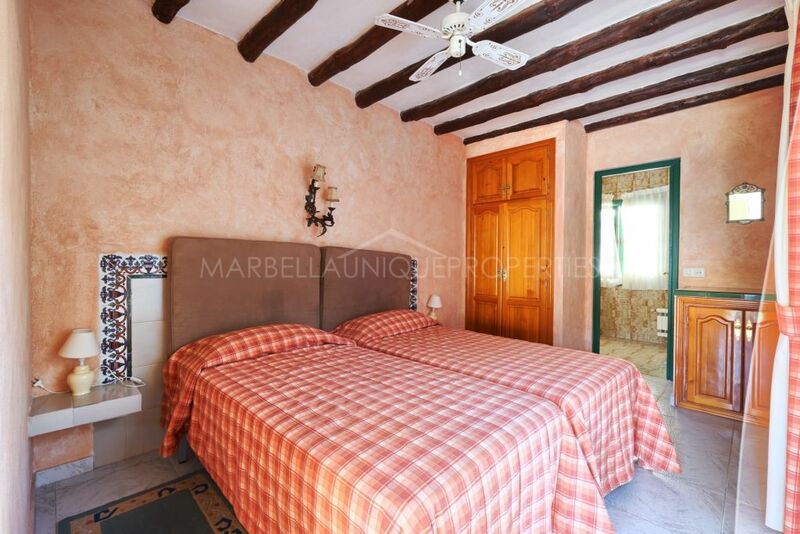 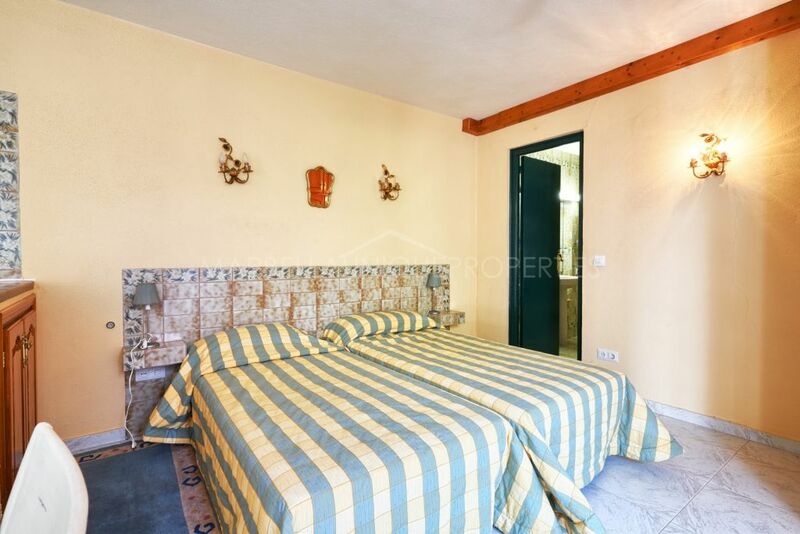 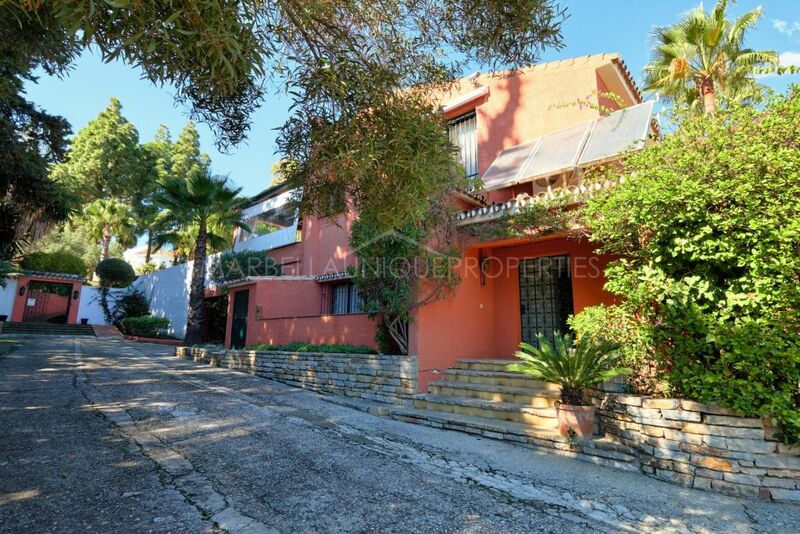 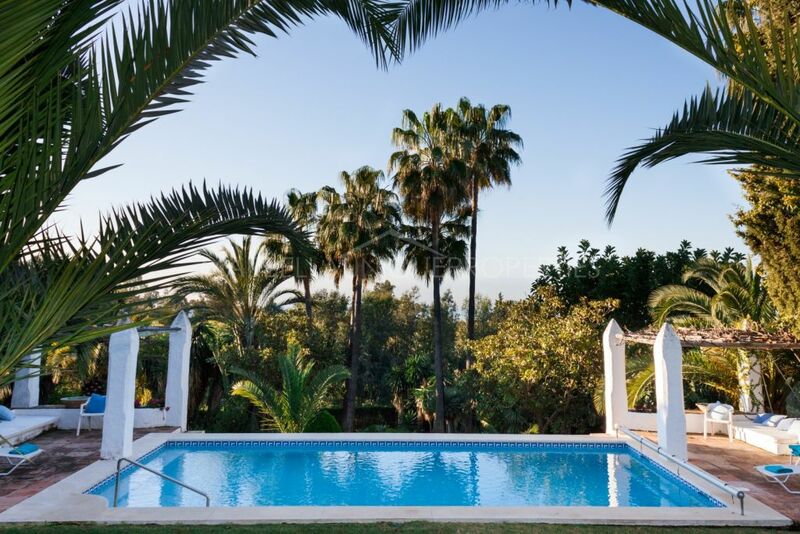 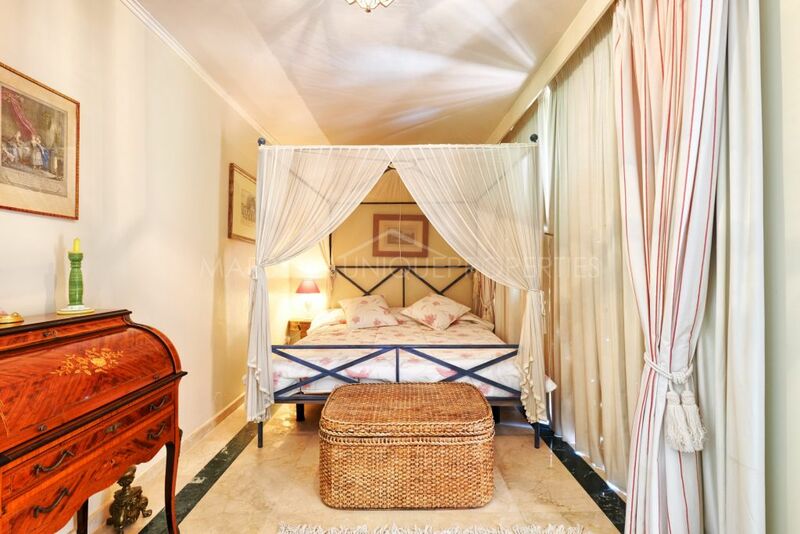 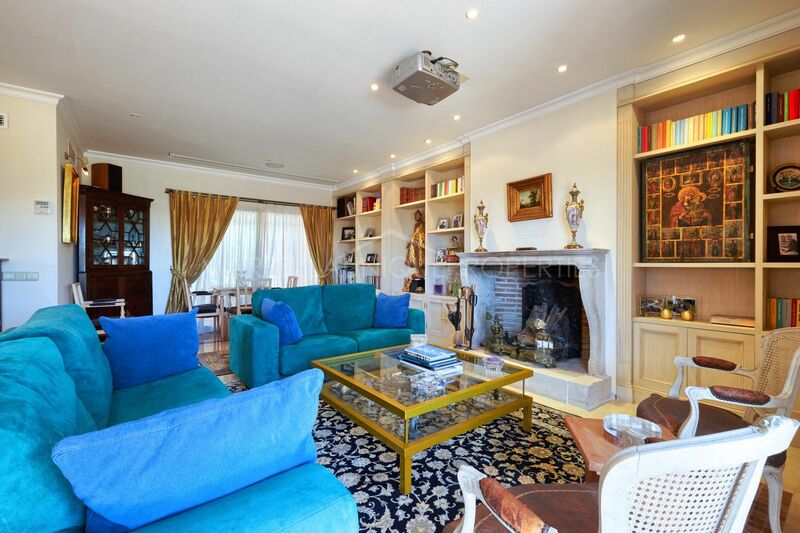 Set in a gated community which is located on a prestigious Golden Mile, walking distance to Puerto Banús, close to the beaches and all the boutiques, restaurants, amenities and services. 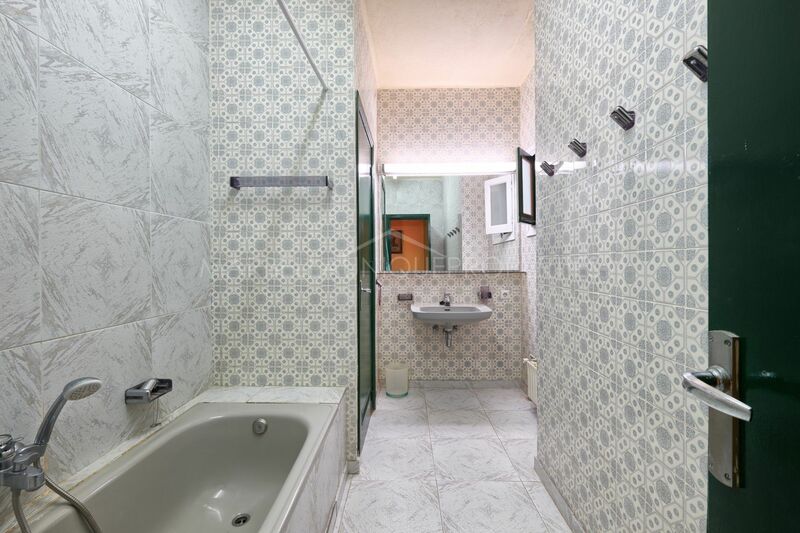 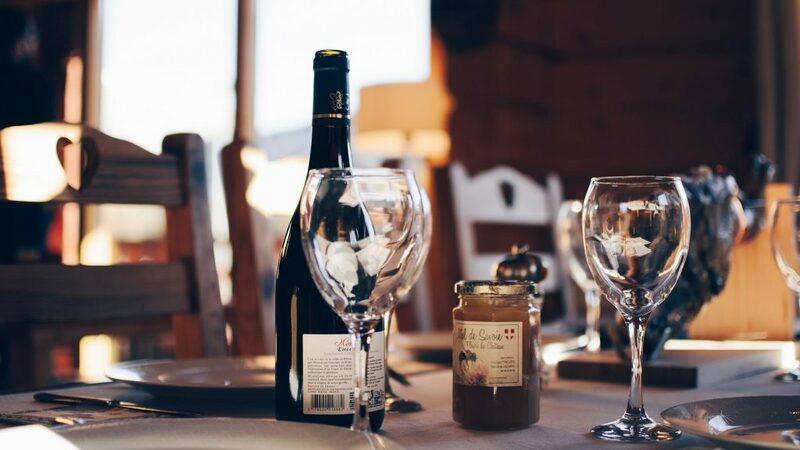 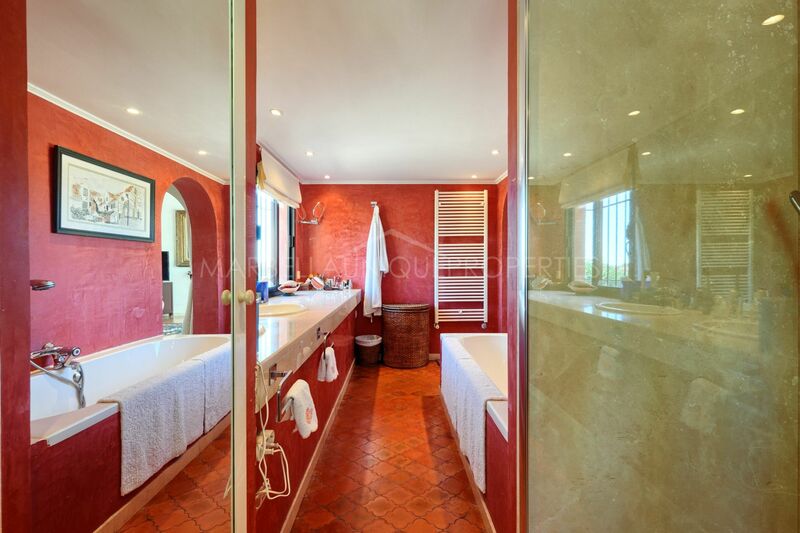 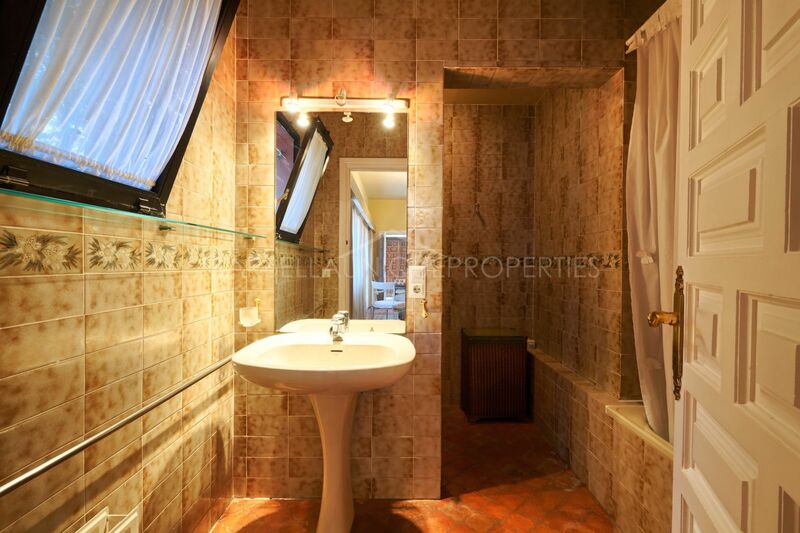 The property is ideal to do a small boutique hotel, bed&breakfast, Clinique and more. 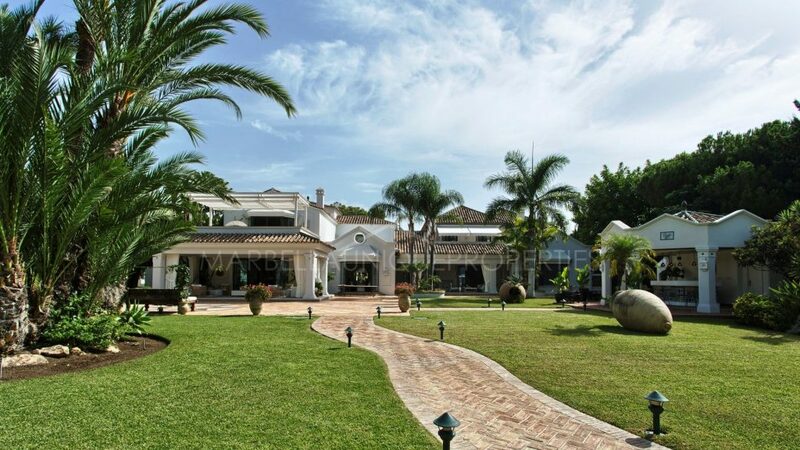 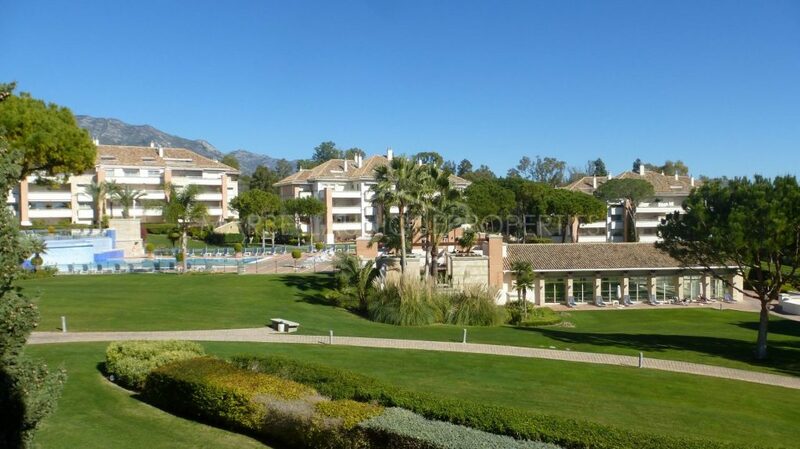 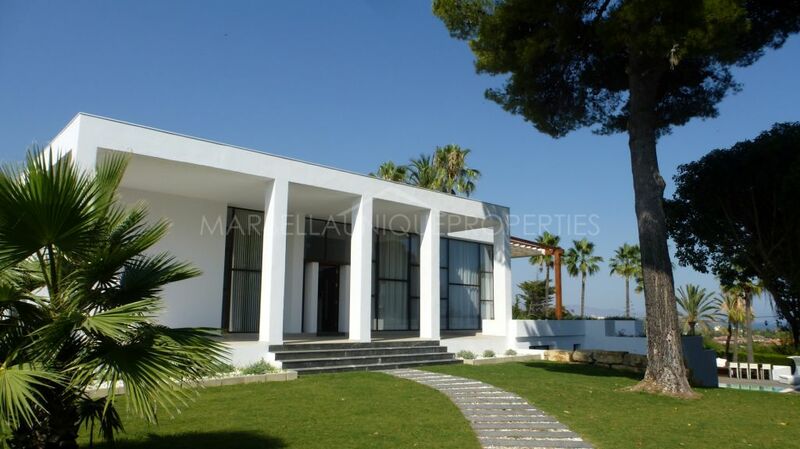 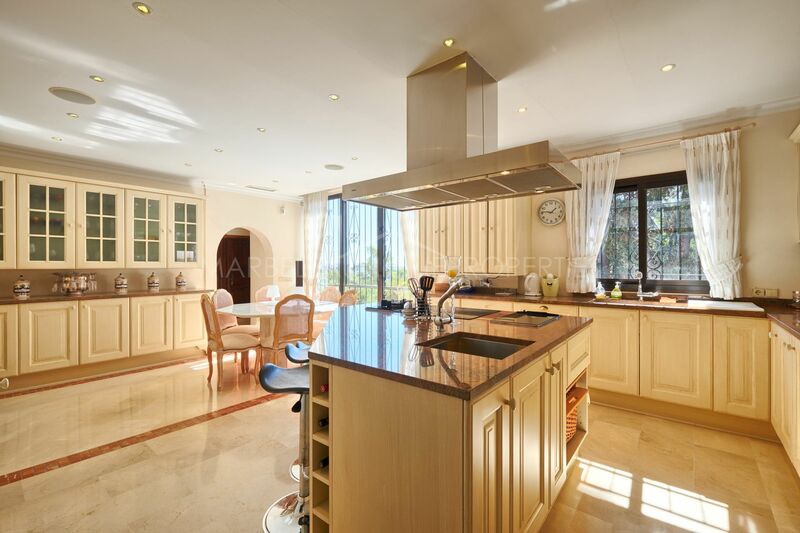 Please, send me more information about ref 239-01331P, Villa in Marbella Golden Mile or similar properties.